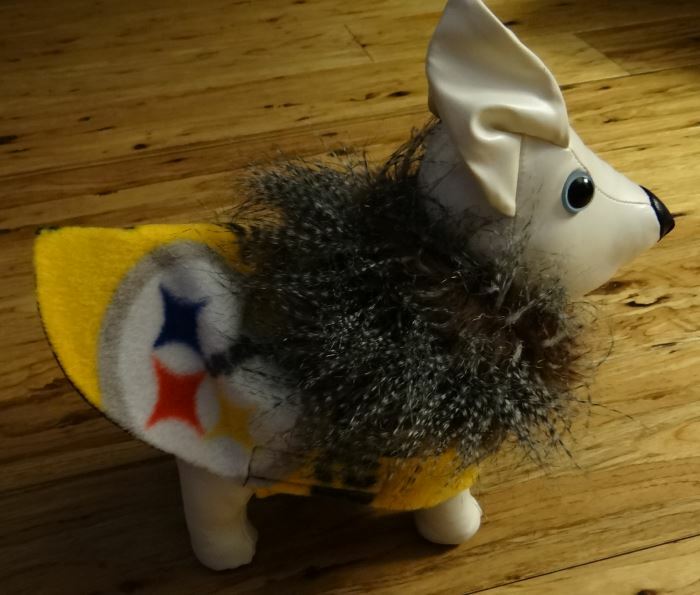 This Fleece Pittsburgh Steelers Dog Coat is a truly unique dog coat that has been designed by Bark Avenue Originals. 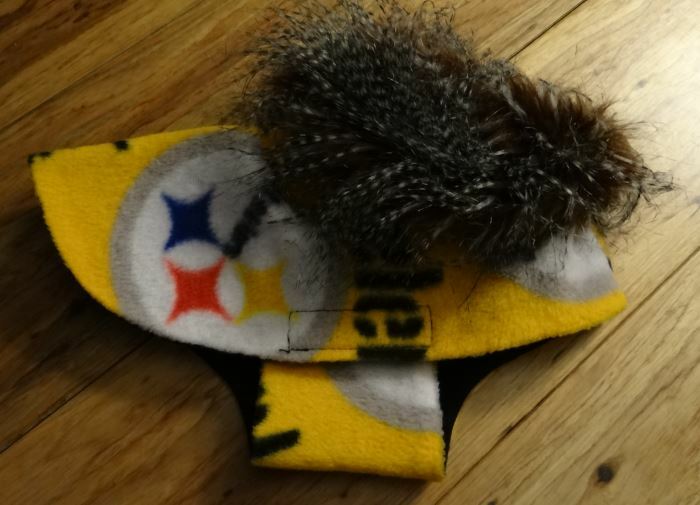 Dress your puppy in style during the cool football season. 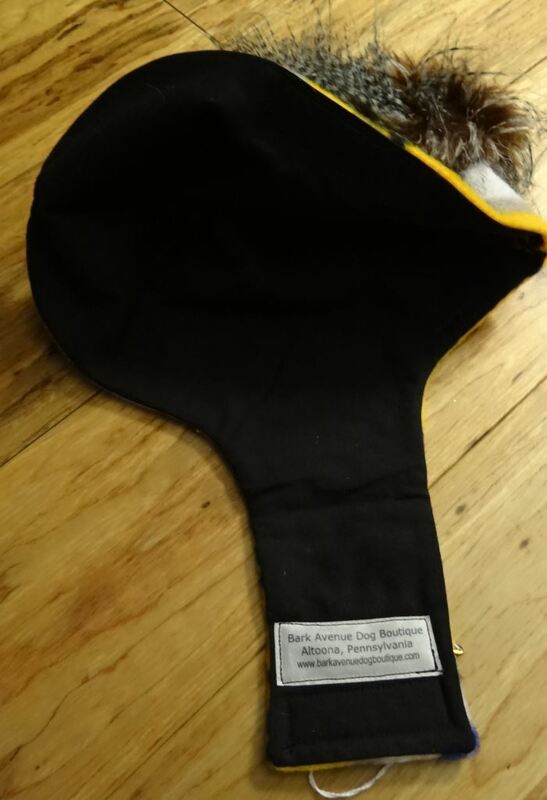 Designed to slip over your dogs head and Velcro shut under the tummy. 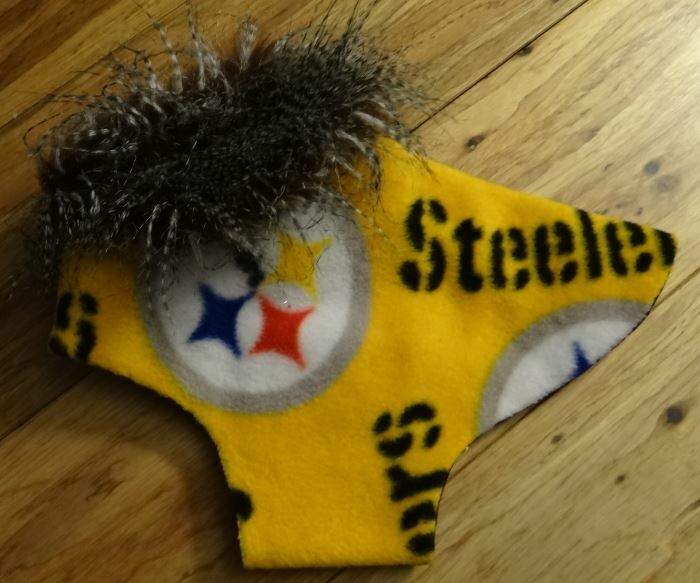 Made of a bright yellow fleece with “Pittsburgh Steelerss” and the Pittsburgh Steelers Logo printed on it. 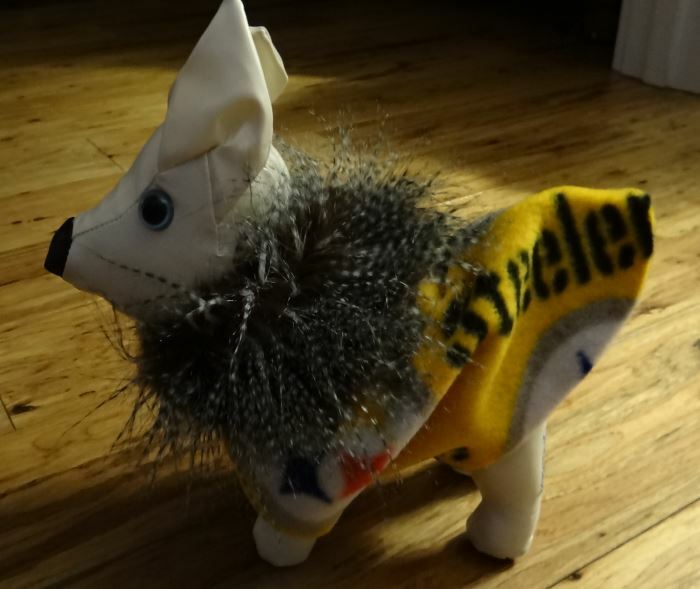 The Fleece Pittsburgh Steelers Dog Coat Is fully inked with a black polyester fabric. The collar is an unusual elegant spiky brown faux fur. 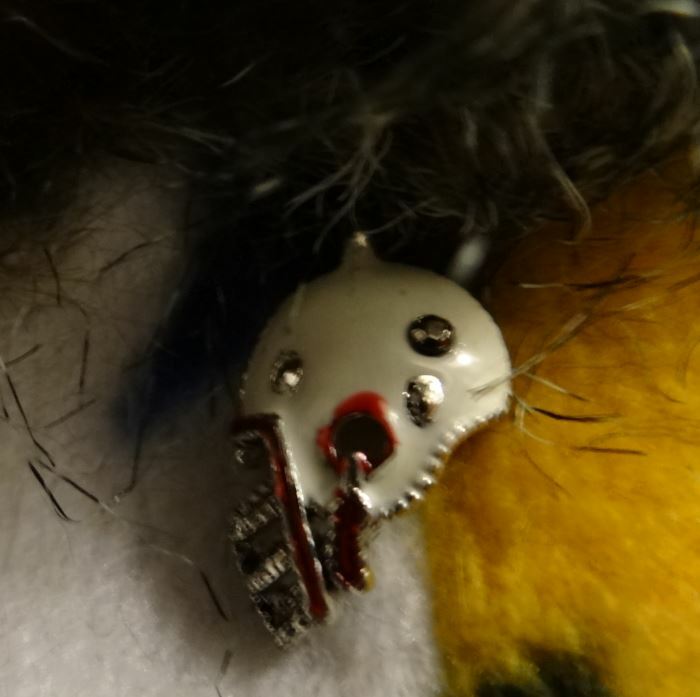 The neck of the coat is embellished with a football related charm. 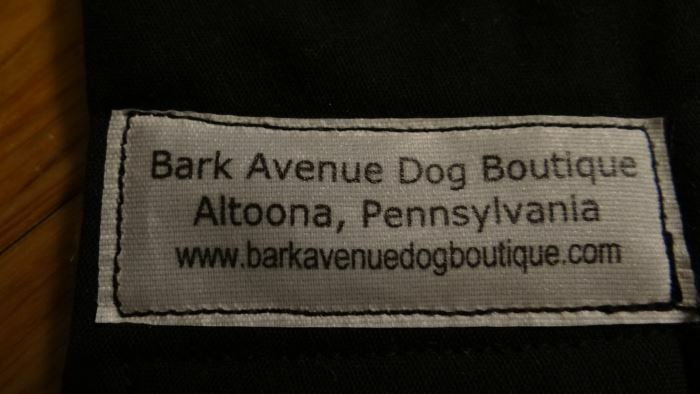 Please see measurements below and compare to your dog for a good fit. Machine wash and dry flat. NOTE: Placing the coat in the dryer will cause the faux fur collar to clump and matte.